Our Junior Academy offers both a Junior Development Program and Friday Night Match Play to give all our Junior Members the opportunity to improve both their technical development and also their match play. The Junior Development Program gives all our junior members the opportunity to improve their game with players of similar ability and ages. All Junior members are welcome to participate, no need to register or sign up, as we offer a drop-in system. 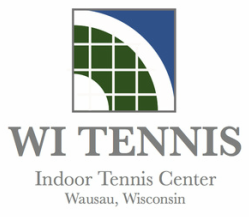 Juniors who are interested in joining the Junior Development Program, but who are not members, may try out 2 classes and then must join WI TENNIS to continue to participate. Below are the tentative programs offered starting in September, 2016. Junior Members will have the opportunity to gain valuable singles and doubles match play with players of similar ability and experience. Junior members can register by signing up on the sign up sheet, which will be posted at the reception area 4-6 weeks prior to each date. Further information on each event will also be posted on the sign up sheets. ​Below are the tentative scheduled Friday Night Match Play dates.